Stamparatus Blog Hop and One Wild Ride …. 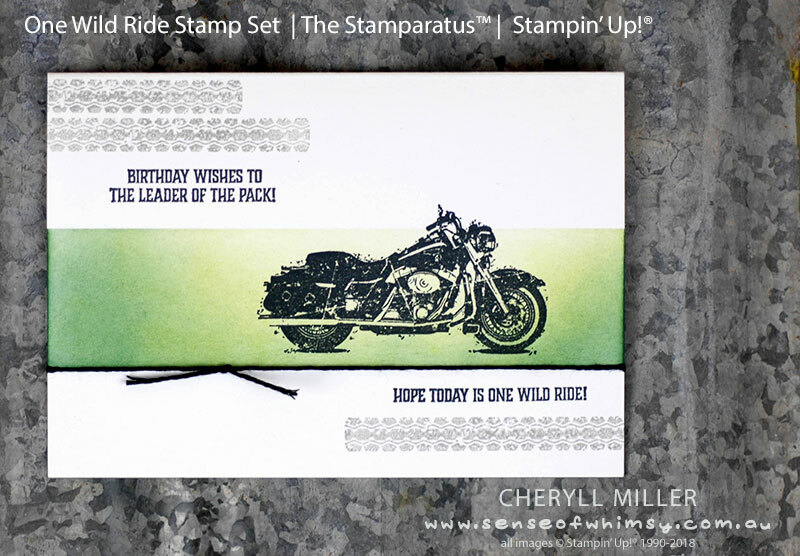 The Stamparatus is a fabulous new Stamp Placement tool from Stampin’ Up!®. It will be available from 1st June 2018 with the launch of the new Annual Stampin’ Up! catalogue and will totally enhance your stamping experience. Today we are bringing you a whole hop full of techniques, tips and tricks to using this wonderful tool. This is a one layer card and everything has been precision stamped and aligned using the Stamparatus™. While photopolymer stamps are very easy to position because they are clear, the rubber clear mount or “cling” stamps can be a little bit trickier. Sometimes the index image on the stamp doesn’t line up exactly with the rubber image, or there are many of us who don’t even put the index images on the stamp. How to line those images up precisely without a lot of trial and error? The solution is to grab yourself a sheet of Polypropylene Plastic from any stationery supplies shop and make yourself a Stamp Imaging sheet cut to a size to suit the Stamparatus. Or use a thick binding cover sheet or even a piece of packaging plastic. Using it is the same principal as the Stamp-A-Ma-Jig, but so much easier. There will be no more getting right to the final stages of your card and stamping your greeting just that little bit crooked. Here is a video to show you the process. Or you can watch on You Tube here. The Stamparatus will be available for purchase on June 1. For a great video series on the Stamparatus, please visit Stampin’ Up! Youtube Channel. If you are in Australia and would like more information on this amazing tool, please email me at cheryll@senseofwhimsy.com.au. To continue hopping around, click here to head over to Constanze Wirtz’s blog, or click on the image below. Below is a list of the participating demonstrators. The Stamparatus is amazing and you will really want to get a hold of one as soon as you can, so mark the 1st June in your calendar as Stamparatus day. 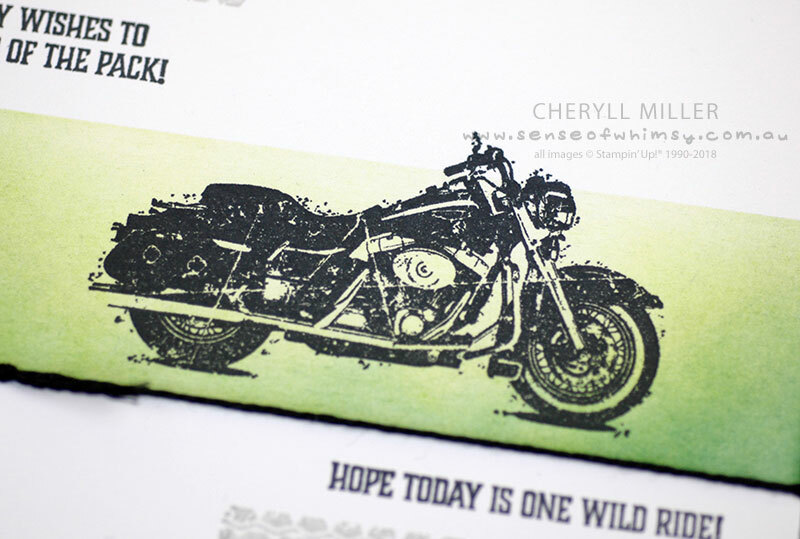 If you are in Australia and love this One Wild Ride stamp set, click on the links below to go directly to that item in my store and add it to your shopping basket. Excellent , Excellent, Excellent , Excellent, Great video. Great tips . Thank you, thank you, thank you for this idea!!! I love your card Cheryll ! It’s nice to see men’s card too ! Fabulous card, Cheryll. Thanks so much for sharing your brilliant video … my brain couldn’t quite work this technique out, so I am very grateful for the visual, and your fantastic way of presenting. Every now and then someone comes up with an idea and you think……..wow! That’s ssoo cool and blooming useful. Thank you for sharing. Your card is amazing and I love your video tutorial! Your card is so incredible! thank you for sharing and thank you for the video. LOVE your imaging sheet idea! Brilliant! This is amazing! I love that it’s a single layer but is so rich in depth! Such a beautiful and male card. Thanks for your tutorial. Genius tips: shifting your card so that it can be open while using the Stamparatus AND that imaging sheet!! You’re an excellent teacher, Cheryll. 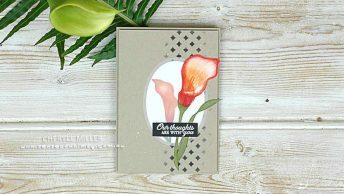 Love your card design, too! Genius tip about shifting your card so that it can be open while using the Stamparatus! You’re an excellent teacher, Cheryll. Love your card design, too! Fabulous tips to use an imaging sheet – thank you! !